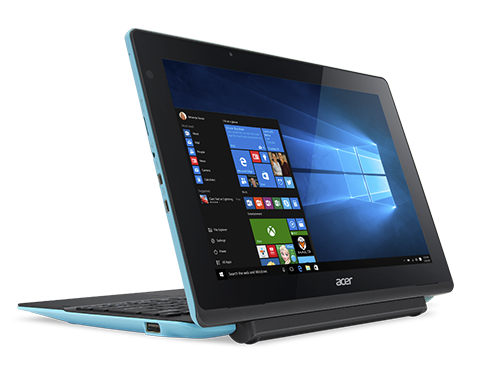 An Intel® Atom™ x5 processor1 offers improved graphics and gaming performance plus impressive power efficiency. 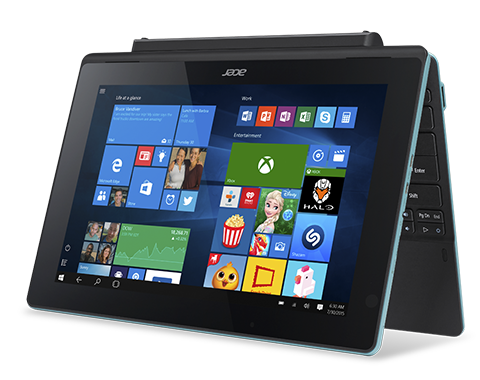 This 2-in-1 runs on Windows 10 and features Continuum, which automatically switches the user interface from tablet mode to laptop mode. 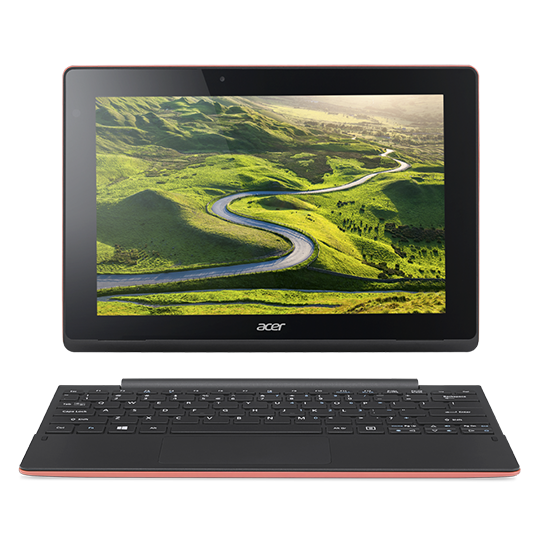 The Aspire Switch 10 E comes in a range of trendy colors that all work perfectly with its dynamic shape and elegant textile-pattern texturing to create one great-looking device. Choose the color that suits you, and watch your friends turn green with envy. 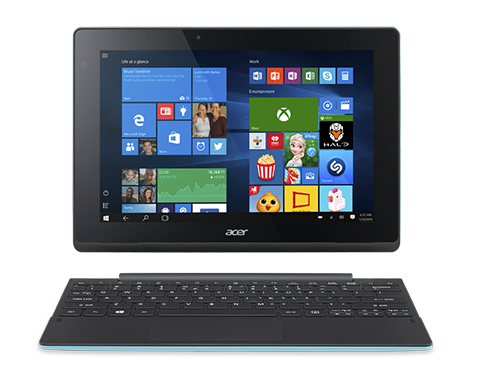 This device’s perfectly designed Acer Snap Hinge™ 2 lets you snap the keyboard part on or off with a simple push or pull. Switch effortlessly between four very useful modes: notebook, tablet, tent, and display. 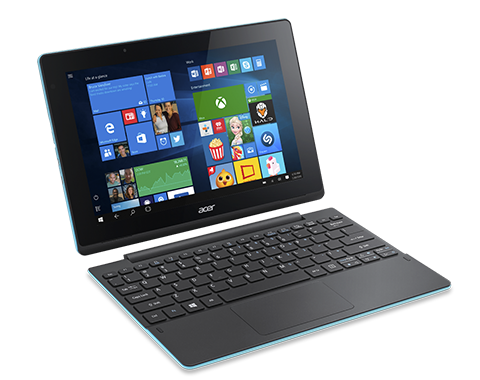 Acer SwitchLock™ lets you lock this keyboard dock’s HDD so it only works with the tablet part. 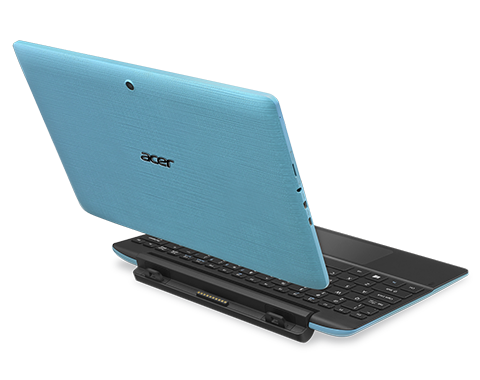 Use the tablet as the HDD’s key – simply snap the tablet off the keyboard to lock the HDD. 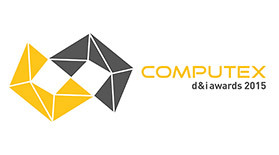 All your HDD data is now protected and can’t be stolen. Simply snap the tablet back on to unlock all that data. 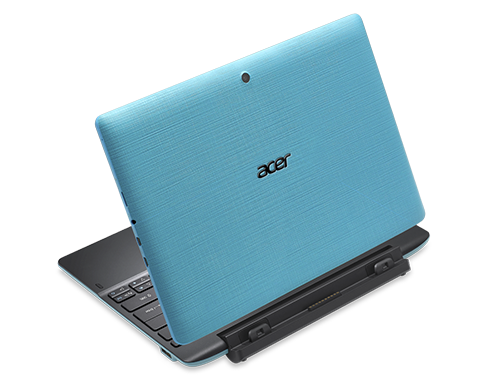 This device features Acer VisionCare™, so you can switch on Acer BluelightShield™ to reduce stress-causing blue light when you need to look at the screen for long periods. Acer LumiFlex™ auto-boosts contrast when you use this device in direct sunlight – no more squinting when you step outside!